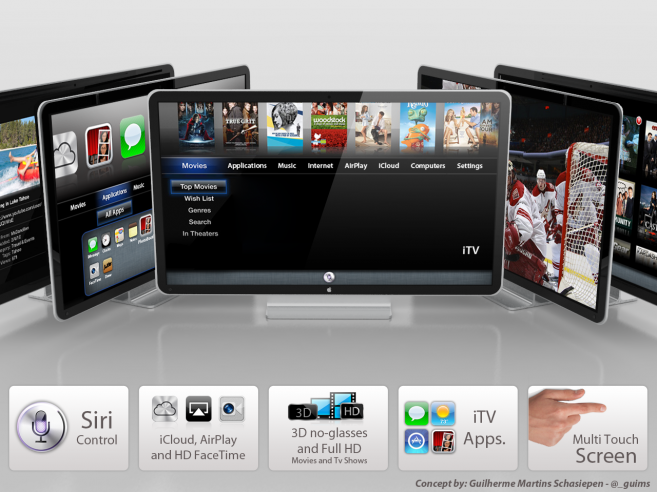 According to Piper Jaffray’s Gene Munster, Apple are actively exploring supplier options for the much-rumored Apple TV. Late last year a separate analyst reporthad indicated that Sharp had been selected by Apple to supply high-definition panels for an upcoming Apple TV, and this latest research note doesn’t exclude that as a possibility. Rumor and speculation surrounding an Apple television set have been in overdrive since the release of the Steve Jobs biography in which the former Apple CEO stated that he had “finally cracked it”. Jobs had invisioned the “simplest user interface imaginable” and current rumors have pointed towards an integrated UI featuring iTunes, iCloud and Siri-like voice control. Despite the impressive new technology on show at CES 2012, observers had stated that Apple’s TV was the “elephant in the room”, with reports indicating that the Apple television may containadvanced backlighting for improved image quailty and come in three sizes, ranging from 32-55 inches.